Let's cut to the chase. Valentine's Day is in T-minus 8 days (in other words, basically a week away), and if you've happened upon this article, you're probably in need of some dire inspiration—and quick. To keep this as simple as possible, we broke up our favorite pieces for the man in your life—your S.O., brother, father, work husband, whoever—based on his potential interests and taste. But don't worry, these pieces work for just about anyone regardless of how he likes to spend his free time or money. Scroll to shop our picks and be sure to hit express shipping. Opt for a mix of practical pieces that he'll be excited to throw on for his long runs, hikes, and everything in between. 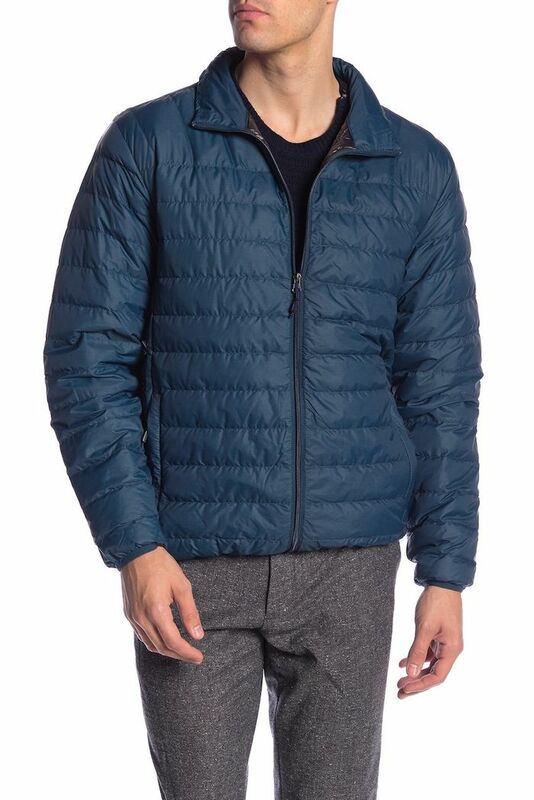 The perfect lightweight jacket to layer during long winter runs or hikes. Built for speed and comfort, this sneaker is practical for running or cross-training but is just as stylish paired with an off-duty look. Air buds are having their moment but we suggest headphones optimized for active use. This cozy crew-neck tee is the perfect hiking essential. If you're going to get him sweatpants, they should probably be Gucci. If jet-setting's his thing, we've rounded up the best travel-friendly pieces from tech to luggage to airport-wear. This compact pocket camera is the perfect traveling companion for recording all his adventures on the go. Stylish and practical, this passport case ensures that he never leaves home without his most important piece of luggage. Featuring tough design, a separate shoe compartment, and an interior zip pocket, this duffle is a great way to pack light while still ensuring you have space for everything you need. Cozy travel pants are a must. Plus, a comfy shirt to match. If he knows his labels and takes pride in how he dresses, opt for these designer looks. Don't worry, they're not all splurges. Looks just as good with a T-shirt as it does with a button-down. Designer grabs for a discounted price? Check. It's cold, snowing, and there are no signs of it stopping. A scarf is a step above a solely practical gift when it's made of cashmere. Take the classic leather wallet up a notch by opting for a subtle logo from an of-the-moment designer.